We are an illustrious organization that is engaged in offering a wide gamut of Fire Extinguisher Sign. 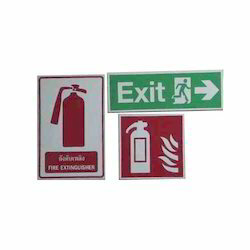 We are the leading manufacturer and supplier of fire extinguisher signage. These are manufactured in different sizes and designs depdenign upon the buyers requirement. These are in great demand from pur buyers. We are offering Fire Extinguisher Sign to our clients. Fire Extinguisher Location Sign are normally fitted near Fire station. These are made by using the finest grades of raw materials and have excellent durability. 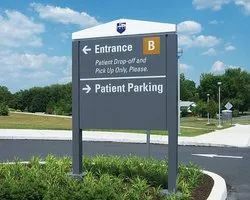 In order to fulfill various demands of our esteemed clients, we are engaged in trading an optimum quality array of Fire Extinguisher Sign Board.